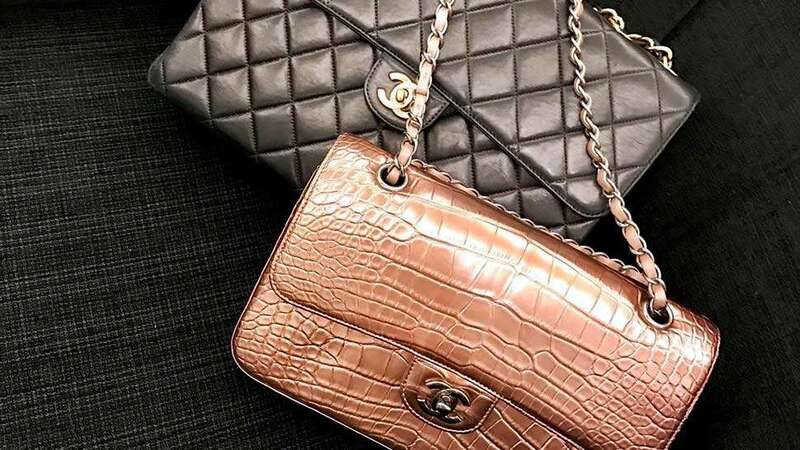 Finding budget-friendly reiterations of famous designer items is all too common in fast fashion already, but rarely is it that the affordable option gets birthed first. Recently, several websites have began comparing a Balenciaga tote to a 99-cent shopping bag. Before you raise your eyebrows, though, they did come up with a strong case. The French brand's Arena Extra-Large Shopper Tote, coming from its Spring 2017 Menswear collection, apparently looks like the large Frakta bag from Swedish homeware brand Ikea. Their similarities in size, shape, and color were found too striking to go unnoticed. 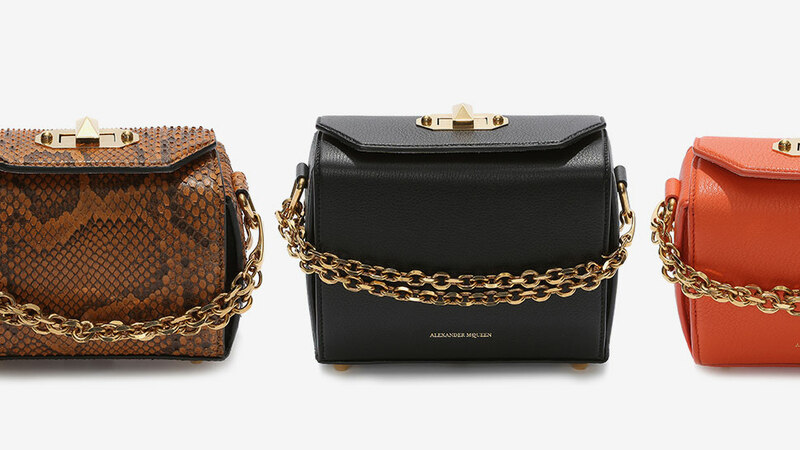 Even their straps are similar—both having short and long straps—except no logo appears on Balenciaga's. Instead, the Arena carries the designer label's logo at the topline in gold. But other than those details, the bags are easily distinguishable. The Arena is made of blue wrinkled leather and lined with black fabric. It also has a zipper up top. Ikea's Frakta, on the other hand, is made of polypropelene. 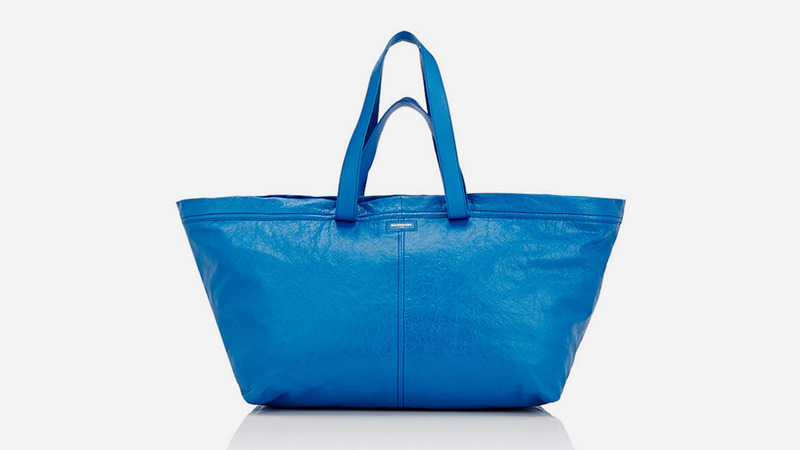 Balenciaga's blue tote also retails for $2145 in the US, while the Ikea version barely scratches a dollar. 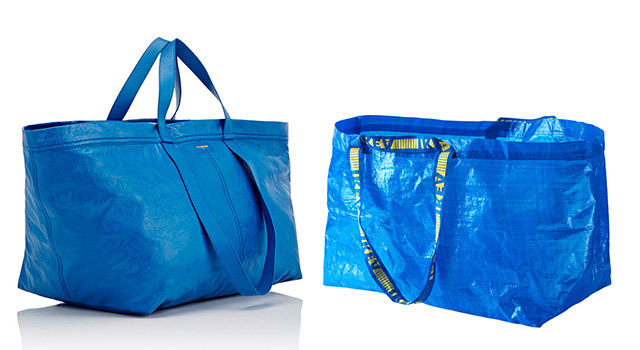 Interestingly enough, Ikea has actually reacted to the comparisons, telling Today—"We are deeply flattered that the Balenciaga tote bag resembles the Ikea iconic sustainable blue bag for 99 cents. Nothing beats the versatility of a great big blue bag!" 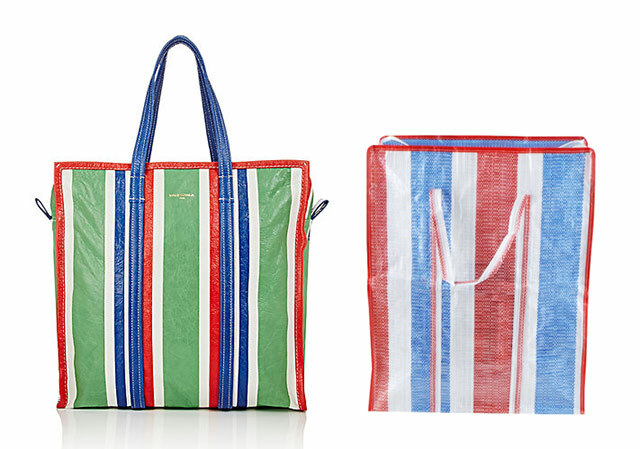 Moreover, this isn't the first time that Balenciaga's large totes appeared oddly familiar. The Arena Leather Bazar Tote in the women's collection reminds us of market holdalls (a.k.a. sako bags) as well. P.S. If you need an alternative to the Arena, the Carry Shopper in yellow should do the trick.